More than 60 participants will be taking part in this weekend’s Run For All Leicester 10K on behalf of the Leicester Tigers Foundation. Tigers captain Tom Youngs will be on hand to officially start the race, which takes place at Abbey Park on Sunday, September 9. 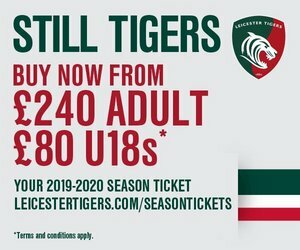 Fans and families will be able to cheer on our volunteers, who include Tigers staff, fans and club partners and will be kitted out in their red, white and green Leicester Tigers Foundation tops. The race will start at 9.00am and there will be an Event Village with activities and refreshments for supporters to enjoy. The event is anticipated to be finished by 12.00pm. To find suggested parking options, click here. Fans can still donate by visiting the Tigers JustGiving page by visiting the link below.